You work hard to build your podcast, your audience, your voice. And you rely on Blubrry to provide flexible, stable, industry-leading tools like podcast media hosting and podcast download statistics to make it easier to share your point of view and make informed decisions. As some of you know, the past few months we have been going through an extensive audit by an IAB audit team to achieve certification of our statistics. We have learned a great deal during the process and have come up with guidelines that all podcasters should be following that will help you obtain the most accurate podcast statistics. We think it’s a quick must read for all. In this process we’ve begun making some behind the scenes changes that we’ll roll out in three phrases over the next few months. First, will be for our enterprise customers like ESPN and ABC, with no changes to that system. Second, will be our media hosting customers: how we process data will change to raw log files. This will allow us to provide you some new unique info. We’ll keep you updated and give more information later on, no need to worry about anything. Non-Hosting customers that use our platform strictly for podcast statistics using the redirect method will come next. In order to certify redirect clients, we are required to put in place code that will audit podcasters website for activities like pre-loading. Preloading refers to the functionality where a web-based audio player will automatically start loading the media upon page load. This audit along with a user agreement we are preparing will be required for redirect clients that are not hosting with us. 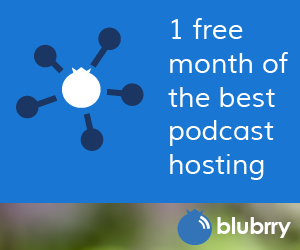 We appreciate your trust in Blubrry as we continually improve our already great podcasting platforms. If you have any questions or concerns, please don’t hesitate to contact one of our real, live humans in support. Second, will be our media hosting customers: how we process data will change to raw log files. This will allow us to provide you some new unique info. I hope this change will allow you to add a feature that lets us download a csv of the full download log (excluding any personally-identifying data of course). I would love love love it if I could download a raw log with one row for each download and columns for the various characteristics of the download, such as datetime, file downloaded, client, referrer, and geographic region. Right now there’s no way for me to be able to view stats like downloads per day from a specific client (e.g. Overcast), but if I could just download logs I could pivot the data any way I want.